Right now is a great time to buy a set of Michelin tyres. 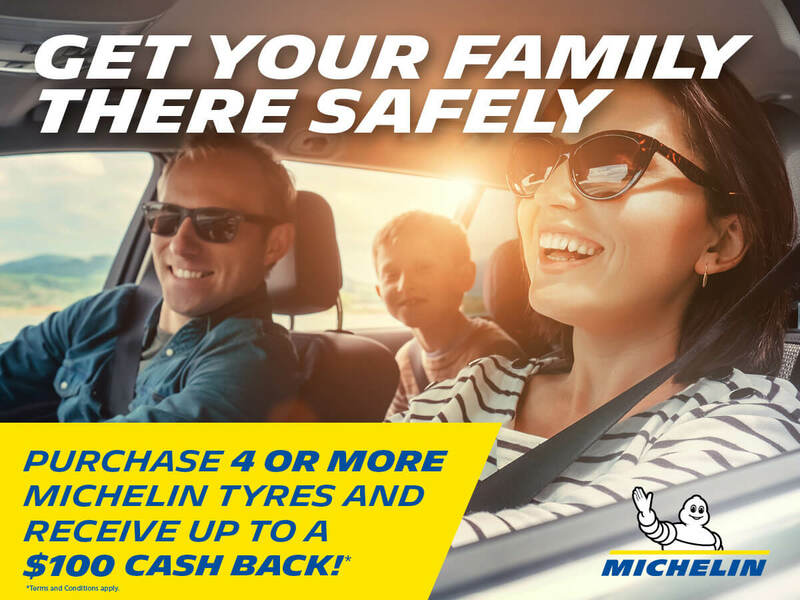 Get up to $100 Cash Back when you buy four tyres from our extensive range of Michelin tyres. See in store for further details or give us a call.